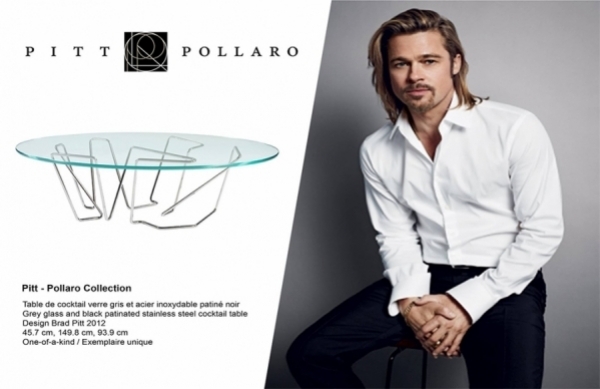 The Pitt-Pollaro Collection is a line of furniture designed by Brad Pitt and built by New Jersey-based high-end furniture maker Frank Pollaro. It is a unique and exclusive collection created over a four-years development period from the original drawings of the actor and Oscar winner producer Brad Pitt, passionate for design, architecture and the extraordinary and legendary craftsmanship of Frank Pollaro. The precise engineered pieces of furniture are realizad from the best and the rarest materials with perfection and integrity.